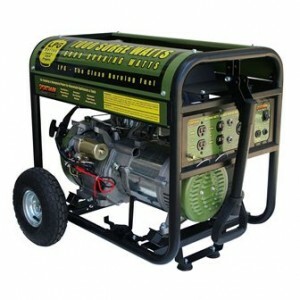 Portable generators are convenient and easy to use. They make great additions to any home as they can help generate power when you experience a power outage. They can also help in powering power tools or the air conditioning and heating system. Here are a few of the best portable generator for home backup that can be found online and at your local hardware store. This item comes with a wheel kit for easy portability and an electric start. 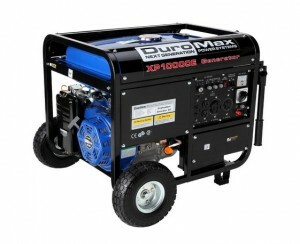 The DuroMax XP 10000E Gas Powered Portable Generator is EPA approved. It has an automatic low oil shut down to help protect the life of the engine. It is non carb compliant and is not sold in the state of California. It comes with a fuel capacity of 8 gallons. It has an electric key start up and a 16 hp air cooled 4 cycle OHV engine. It comes with a one year limited warranty. There are 10.5 inch never go flat tires. It runs on 10,000 watts surge and 8,000 watts continuous. There are various outlets it comes with including a 30 amp twist lock, 50 amp heavy duty outlet, and 120 receptacles. It comes with a one year limited warranty. Its flip down handle allows you to easily maneuver the machine. It costs about $999 online and it received 4 stars from more than 115 Amazon reviewers, making this one of the best portable generator for home backup. 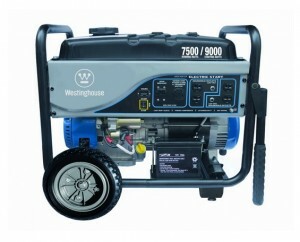 This generator – Westinghouse WH7500E Portable Generator comes with a three year limited warranty. It has a quiet operation and has an electrical and manual starting system for all eventualities. It runs on 7,500 watts rated and 9,000 watts surge. It has a 420cc 4 stroke OHV engine and a 6.6 gallon tank. It has 10 inch solid wheels and can run on 12 hours on half load. There is a cast iron fan guard that ensures safe operation. It has a full enclosure that protects the electrical connection. It is non carb compliant and is not sold in the state of California. The control center is simplified and easy to use when needed. It has one 120/240 volt twist outlet. It comes with various items including a wheel kit, tool kit, handle kit, and a funnel. This item runs on 8,750 watts maximum and 7,000 watts continuous. The Powermate PMO 497000 Gas Powered Portable Generator is non carb compliant and is not sold in the state of California. It comes with a two year warranty and it has an eight gallon tank. It runs for 12 hours at half load and it comes with a Honda GX390 13 hp 389cc engine. It has a low oil shut down and a circuit breaker protection. It has several outlets including 4 120 volt outlets and one 120/240 volt twist lock outlet. This generator earned 4 stars from more than 40 Amazon reviewers, making this one of the best portable generator for home backup online. It costs about $1,200 online. 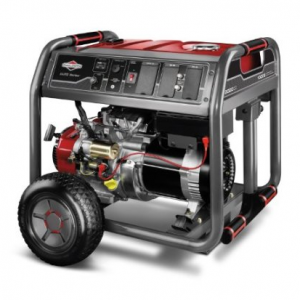 This generator – Briggs and Stratton 30471 Portable Generator Gas Powered runs on 10,000 watts surge and 8,000 watts rated. It has a 420cc Briggs and Stratton engine for added power. It costs about $1,200 online. It has several outlets including 4 120 volt outlets and one 120 volt locking outlet 30 amp. It has a 7 gallon tank of gas that comes with a gauge that can help you determine how much gas you have remaining. It can run up to 8 hours on half load. It comes with a wheel kit for easy portability. It is non carb compliant and is not sold in the state of California. This item received 4 stars from more than 45 Amazon reviewers, making this one of the best portable generator for home backup. 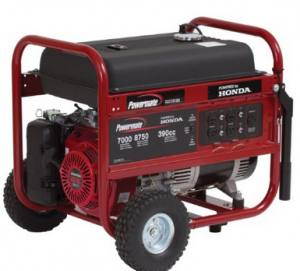 The Sportsman GEN Propane Powered Portable Generator costs about $850 online. It comes with with various outlets including one 120/240 volt outlet, 4 120 volt outlet, and one 12 volt DC outlet for battery charging. There is a five foot propane fuel hose with a regulator. It comes with a one year limited warranty and a wheel kit. It runs for up to 8 hours at 50 percent and it is quiet at 80 dba. There is a low oil shut down to help protect the life of the engine. It runs on 6,000 watts continuous and 7,000 watts surge. It is non carb compliant and is not sold in the state of California. It is EPA approved. All of these generators are among the best portable generator for home backup. They offer multiple features and accessories that make them durable and reliable. If you live in a place that you tend to experience frequent power outages or if you are in need of a lot of electricity then consider purchasing one of these portable generators that will provide a lot of power needed for generating electricity throughout your home.